WinAutomation is a flexible platform that can be controlled from the command line, silently in the background. 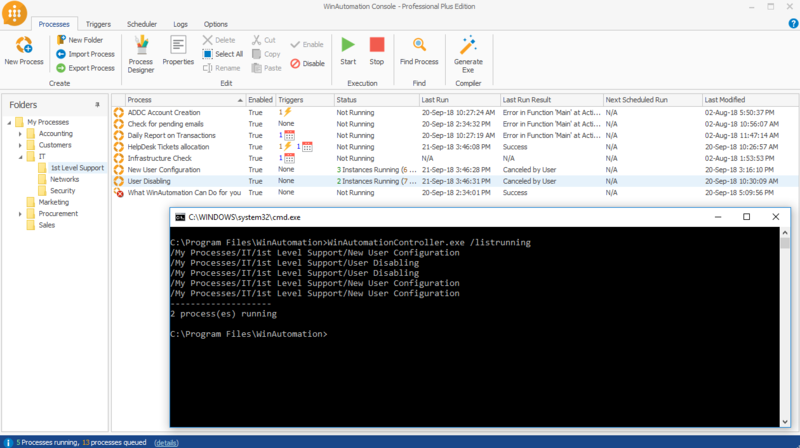 Major WinAutomation activities may be performed from a simple command in the cmd, like starting or killing a Process, enabling or disabling one, list all the processes that are currently running etc. Unleash the power of WinAutomation without even launching the application. Run simple commands and fire processes or stop running ones at will or even remotely through the command line.